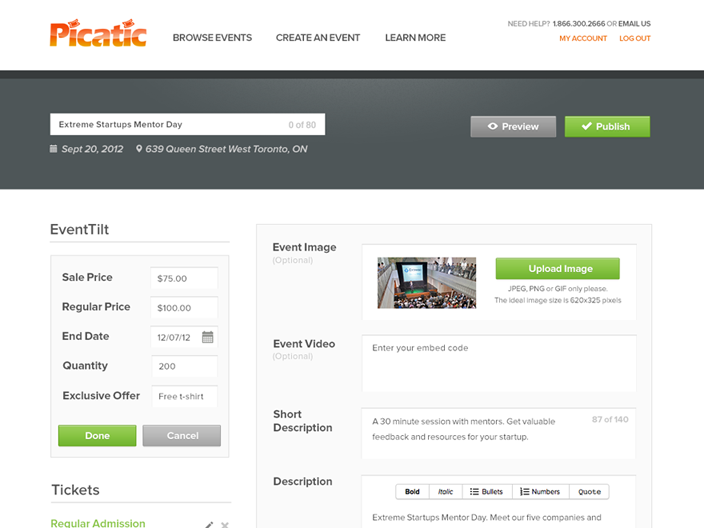 Toronto startup Picatic has an excellent proposition for event organizers,”Never lose money on an event again”. They can guarantee this proposition for event organizers that use their platform for their events. Picatic’s EventTilt platform is a crowdfunding site to fund events. Users take to the traditional crowdfunding model and essentially purchase tickets early for an event that an organizer has posted to the site. If the event gets enough early tickets from the crowd, those that crowdfunded the event will receive discounted tickets based on their contribution. Should the event not get enough commitments than the user’s card isn’t charged and everyone walks away happy. With EventTilt event organizers can finally host events without worrying that they won’t sell enough tickets to break-even or make the profit they expected. The platform eliminates all of the financial risks of hosting an event by offering a preset number of early tickets at a discount. Once discounted tickets are sold the event Tilts and tickets go back up to full price — the event is on! For events that don’t Tilt within the time allotted, EventTilt will refund buyers 100% of their ticket price. 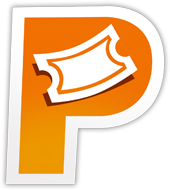 Just like other crowdfunding sites Picatic can also offer other incentives to those that purchase their tickets early. Incentives like early admission, VIP access,T-shirts and other swag can be used as incentives to the buyers. “EventTilt is changing the way we plan and market events. Our goal is simple, create a platform that not only ensures events get the funding they need to be successful but also helps organizers engage with their most loyal supporters.” CEO and Co-Founder Jayesh Parmar said in a statement. There are a few other crowdfunding startups in the ticketing and event space like GigFunder and Queremos. While many view Picatic as a way to eliminate risk for event organizers, others wonder if it’s worth backing or committing to an event that may or may not happen. Picatic has raised $200,000 in seed funding and their site is up and running.